With over 20 years of experience we know how to clean carpets. Which meet Australian Cleaning Standards thus achieving “BEST RESULTS” the first time due to our unique cleaning system “Retarding Soils”," LEAVING YOUR CARPETS LOOKING BRIGHTER, SOFTER & HYGIENICALLY CLEANER FOR LONGER". And Remember We clean beyond the AS/NZS:3733-1995 standard. We Carpet Clean various types of carpet as: Nylon, Wool/Blend, Polypropylene, Polyester and other. Pending on the carpet type -the results will vary due to soil retarding agents the carpet. Standard Room Sizes area 14sqm/ Lounge-Dinning Room area considered as 2 Rooms. Please ensure carpets are PRE-VACUMMED prior to our Carpet Cleaners Arriving. SPECIAL SPECIAL- 3 Rooms Cleaned for $99 + 4th Free!!! We area an owner operator small business with qualified technicians whom clean to a high standards of Real Estates. Rental Carpets to a 7 step process. Additional Vacuuming with POWER HEAD is $11 PER ROOM. Note: Extra services such as specialty spot and stain removal and Soil/Stain protection are available at an additional expense also power head vacuuming. 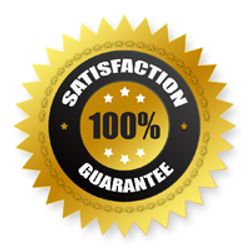 Your needs and expectations will be discussed and quoted on the phone and than reconfirmed prior to commencement of any work when on site by the carpet cleaning technician.. Carpet cleaning package is an 8 STEP PROCESS to bring out the best in your carpet. We REINVIGORATE your tired looking, soiled carpets to a "BRIGHTER, SOFTER FEEL AND HEALTHIER CONDITION. 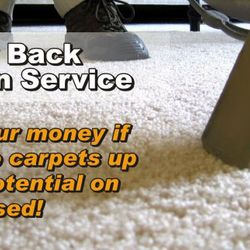 This service is recommenced not only to our LOYAL CUSTOMERS, but also to new customers pending on the soiling condition of the carpet; the results are AMAZING!!!. Recommended cleaning every 8-12 Months pending of Carpet Traffic Conditions! Carpet cleaning package; is a 10 STEP PROCESS to bring out the “ ABSOLUTE BEST ” for your carpet. We REINVIGORATE your tired looking, soiled carpets leaving them “BRIGHTER, SOFTER and DEEPER CLEANED. Your carpets are Deeply Scrub Removing Trapped Soils Leaving Your Carpets In A Hygienic, Sanitized Condition than Dry Buffed leaving them Walk On Within the HOUR! RECOMMENDED CLEANING : Every 12-Months pending on Carpet Traffic Conditions! In order to increase the longevity of your carpet we recommend using a combination of both Family and Premium Clean during and over the 12-24 Months-focusing on restoring High Traffic Areas and while Refreshing Less Traffic Areas. Premium Package is A Multi Clean System!!! It involves multiple stages of cleaning (usually between five and seven) depending on the carpet type, age and condition. Because it involves three times the number of cleaning stages it also takes 2 times longer, usually one and a half to 2 hours for the same three bedrooms home..
Our Technician will advise the client on the service available to bring out the results possible by customizing the above services to suit your carpets specific requirements. Don't Hesitate to ASK for a free quote to turn your Dirty, Tired Looking Carpets into WOW; Softer Feel, Brighter Look and Healthier Condition !! Note: Extra services such as specialty spot and stain removal and Soil/Stain protection are available at an additional expense. 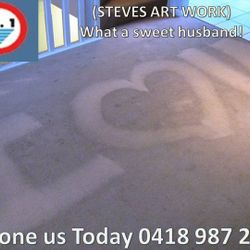 Your needs and expectations will be discussed and quoted on the phone and than reconfirmed prior to commencement of any work when on site by the carpet cleaning technician..
Areas you might find these fibres eg –, upholstery lounges, dinning chairs, mattress, bed heads, car upholstery and office chairs.